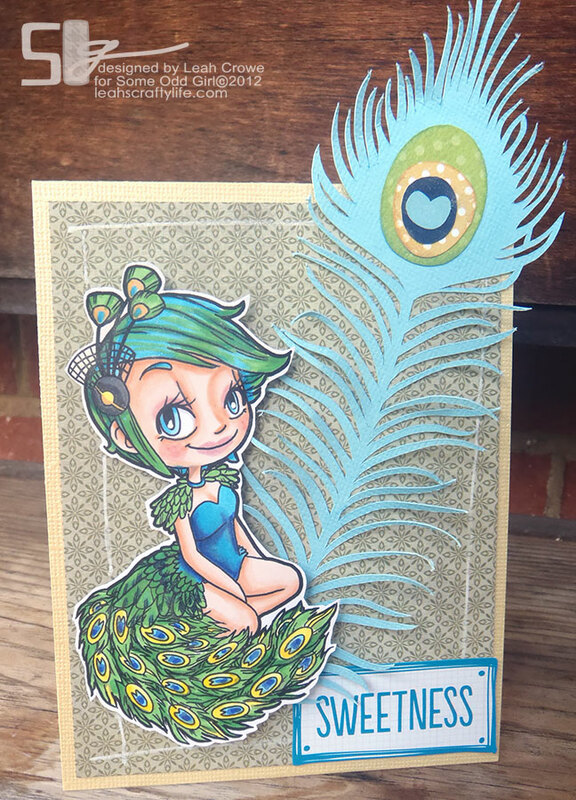 Leah's Crafty Life: Peacock Kaylee in the house! WOW!! This is stunning Leah. Such a fabulous image and you have coloured her so beautifully. The peacock colours are perfect. Too cool!! Great colors! She looks like a real peacock! (she might be my fav from this release) Great feather too! 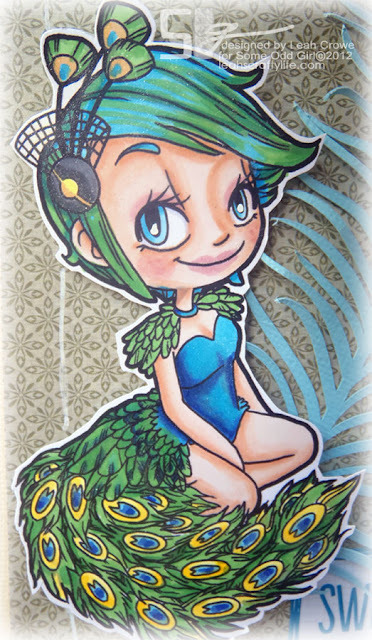 Love this card and her hair is fantastic! EEEEEEEEEEEKKKKKKKKKKKKKKKKKK!!! I so wish I was a stamper right about now!!!! My family name is Peacock!! I think I am IN LOVE!!!!!!!! !